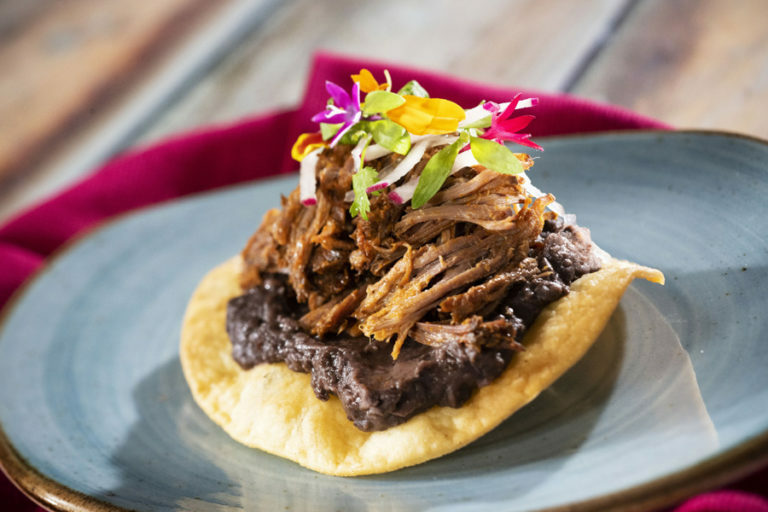 One of the longest running and most popular festivals hosted at Epcot is the ultimate experience for foodies and culinary lovers. 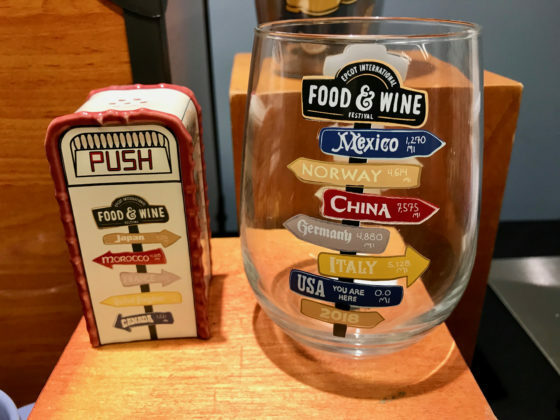 Whether guests attend to be educated and inspired or just want to enjoy eating and drinking around the world, Epcot Food & Wine Festival will satisfy more than just tastebuds. This year’s festival runs from August 30 – November 12, 2018. 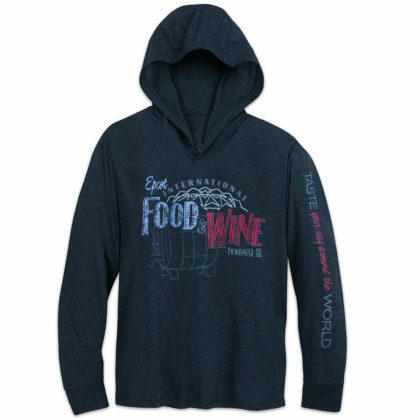 Epcot Food & Wine festival is open to all guests with valid park admission. Children 2 and under will not need a ticket. No visit to the Epcot Food & Wine Festival would be complete without a culinary tour of World Showcase. 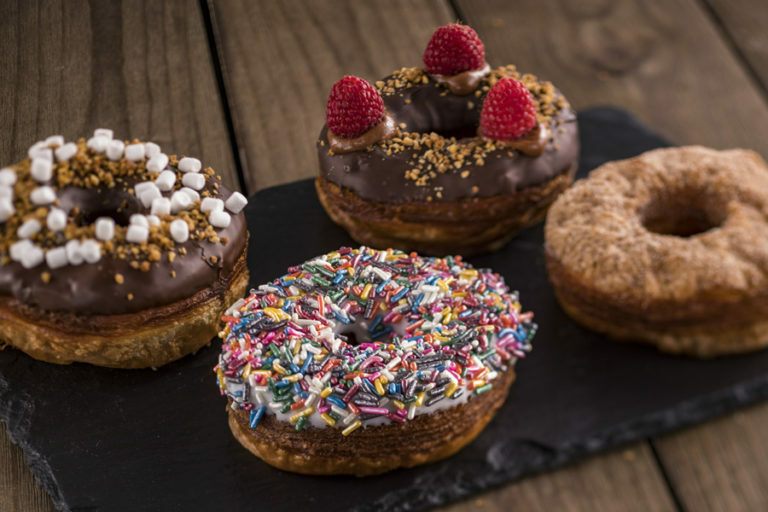 The park takes on a whole new vibe with dozens of food kiosks offering delicious treats for purchase. 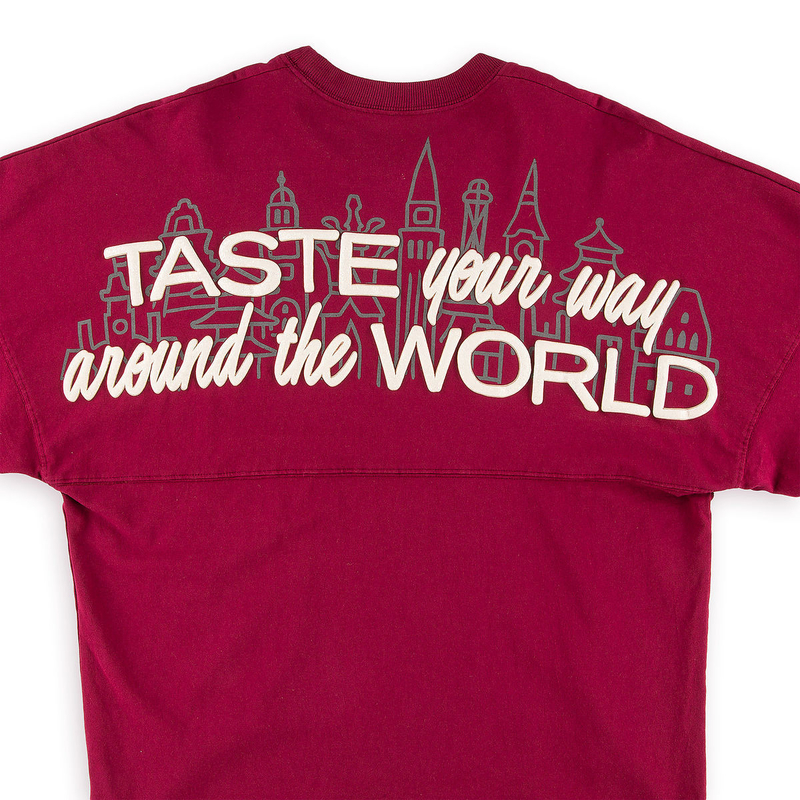 Sample food, drink, and desserts inspired by multiple cultures and countries. 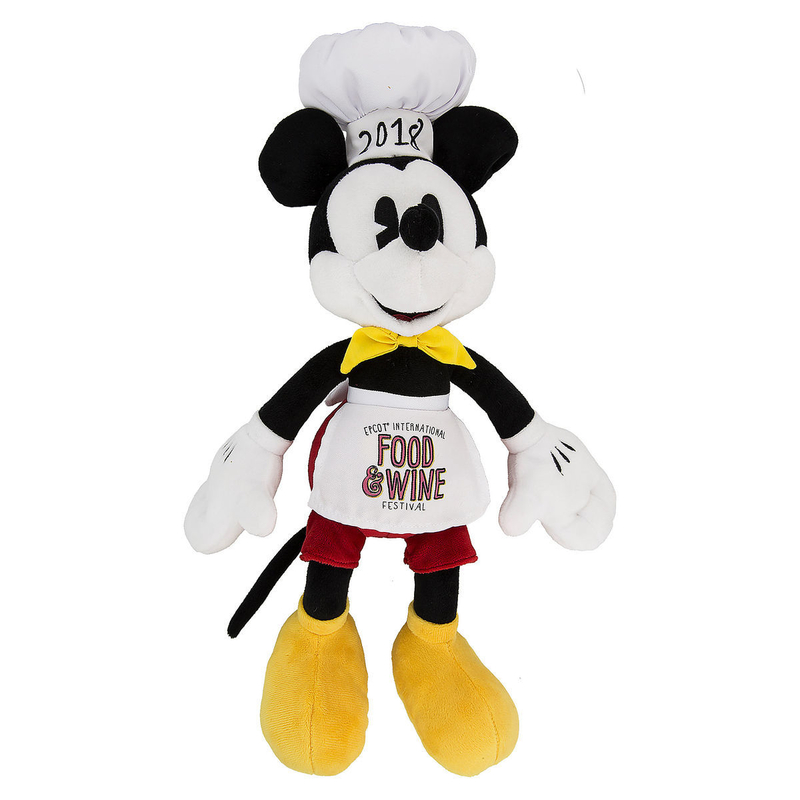 *Please note that you may consult with a chef or special-diets-trained Cast Member before placing your order. 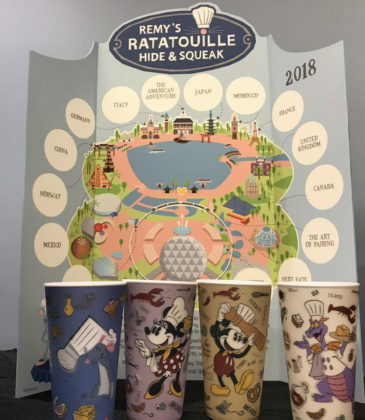 Disney uses reasonable efforts in sourcing, preparation and handling procedures to avoid the introduction of the named allergen into these menu choices. However, it is possible for the allergen to be introduced before the food is provided to them or inadvertently during preparation or handling. Disney does not have separate kitchens to prepare allergy-friendly items or separate dining areas for guests with allergies or intolerances. Select dishes featuring Melissa’s Produce. Select dishes feature Melissa’s Produce. 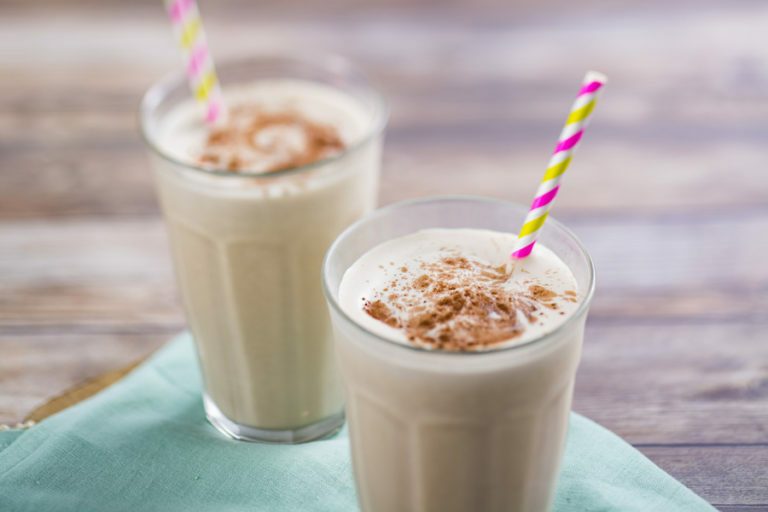 All food items are made with Almond Breeze Almond Milk. Mushrooms provided by The Mushroom Council. Mussels provided by Mark Foods. Select dishes feature Melissa’s Produce. 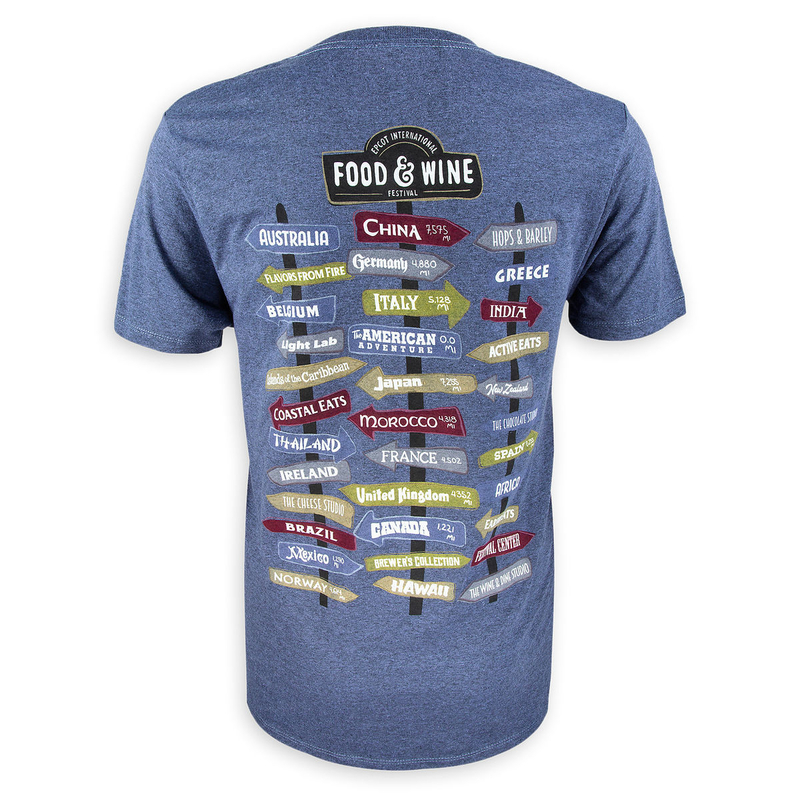 Visit these outstanding food and beverage destinations for gourmet tastes on the go! Throughout the run of the Epcot Food & Wine Festival, musical acts are featured at the American Garden Pavilion. Most musicians and bands will perform two to three days in row and will play three 30-minute sets each of the days they are there. This is a great opportunity for guests to grab a drink or a snack and enjoy live music in a spacious outdoor setting. All concerts are included with valid guest admission. Eat to the Beat performances are at America Gardens Theatre three times nightly at 5:30 pm, 6:45 pm and 8:00 pm. 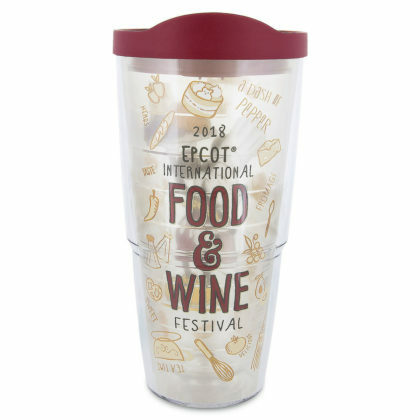 The concert series will feature a favorite performer or music group every day of the Epcot International Food & Wine Festival. Concerts are included with Epcot admission, but seating is not guaranteed. Events are subject to change or cancellation without notice. 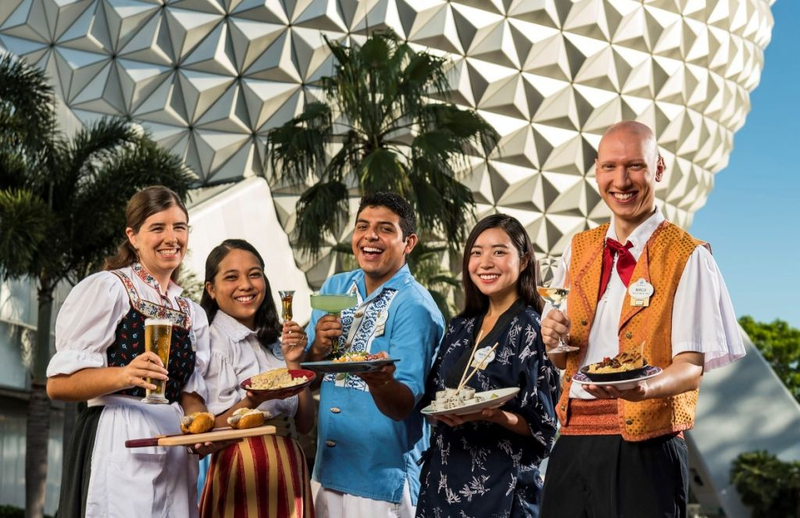 Priority seating to the Eat to the Beat concerts are available to guests who make reservations at select Epcot restaurants. Guests must have valid park admission to dine in the park and will only have reserved seating to one of the shows. The Disney Parks Blog has announced that reservations for the Eat to the Beat Dining Packages are now on sale. Please note that prices do not include tax or gratuity and reservations require a credit card guarantee. Dining reservation start times must be at least 2.5 hours prior to the Eat to the Beat concert showtime. This experience requires 2 Table-Service Entitlements for Magic Your Way Dining and Magic Your Way Deluxe Dining Packages. 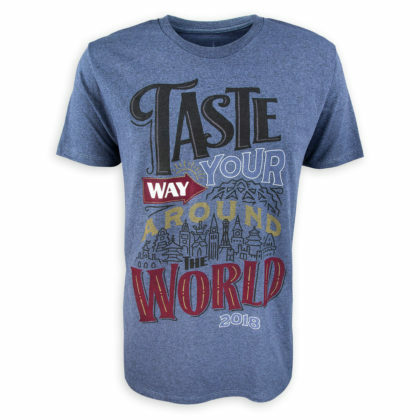 Valid Epcot admission is required and not included. Seating will be uncovered and in the second section in the middle of the theater. If guests need accessible seating, it should be indicated in reservation. 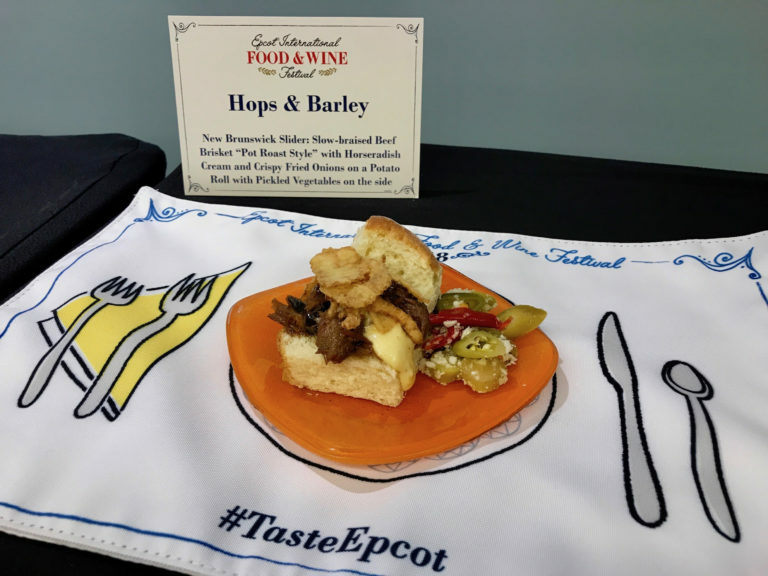 This elegant evening gala brings together the best of Epcot Food & Wine Festival including entertainment, education, and of course culinary delights. 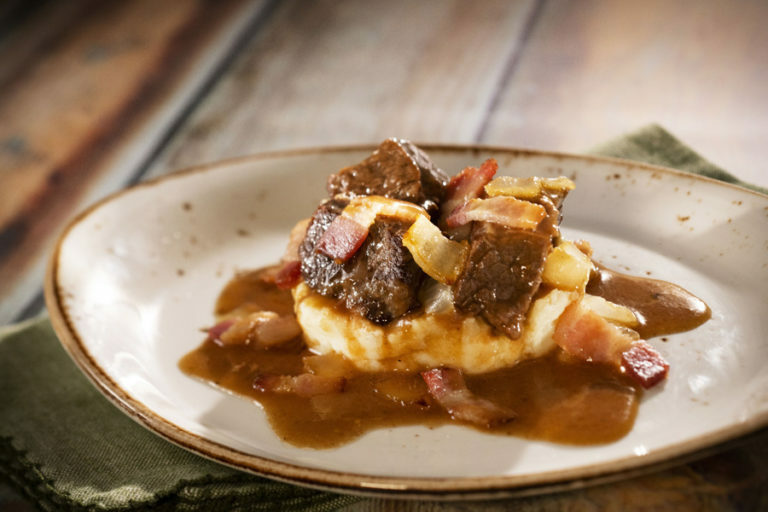 Guest and Disney chefs will prepare and present their signature dishes crafted with gourmet ingredients and combining unique flavors. Guests will savor every cocktail, entree, and dessert they sample during the exclusive Party for the Senses. Reserved seating for the 5:30 pm performance of the Eat to the Beat concert series as an added bonus! “Paint the town like a true VIP, with a premium reserved table, premium bar service, artisanal cheeses and a specialty cocktail toast—in addition to all that makes this event the most palatable party of the year!” Reservations are now on sale. “Indulge in top-notch treatment, with a reserved table on the main floor and a specialty welcome cocktail toast. Your inner connoisseur won’t want to miss it!” Reservations are now on sale. Please note: each event has two eating options. Required Epcot admission is not included with the event ticket. Alcohol will only be served to guests 21 and older. All events are subject to change or cancellation without notice. 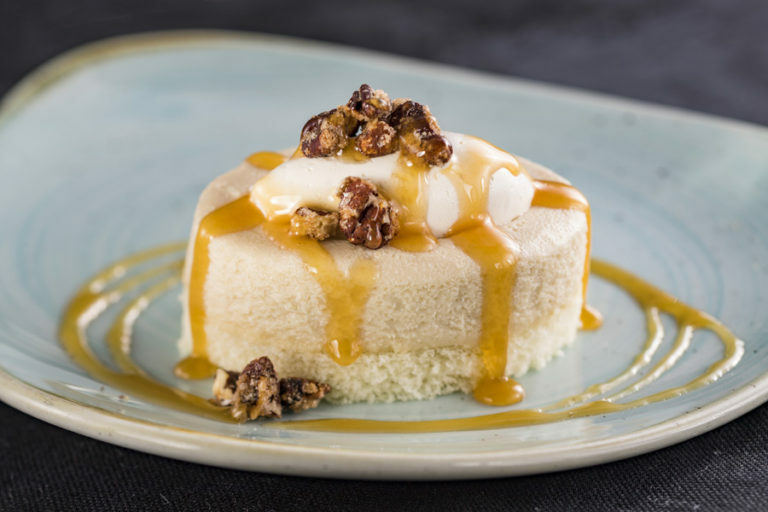 Sip and savor in style at Epcot’s Signature Dining Events. 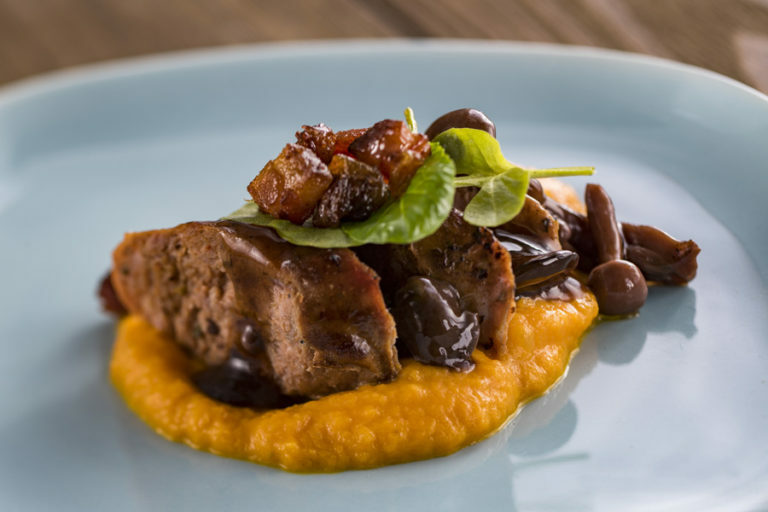 This year, nine incredible themed meals are being offered around World Showcase to Epcot Food & Wine Festival guests. Whether it’s breakfast, lunch, or dinner they prefer, there’s something for everyone. These signature, multi-course meals will pair culinary delights with tasty beverages for an experience your tastebuds will love. 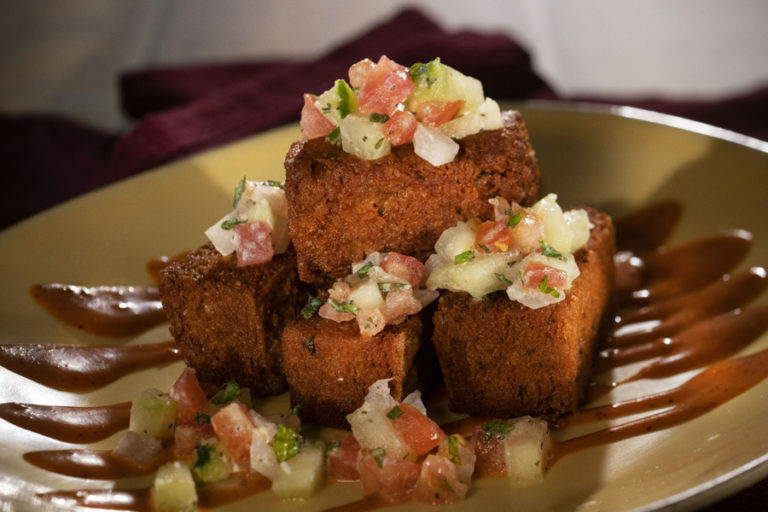 Guests can make reservations for the Signature Dining Events by calling 407-939-3378. Disney Vacation Club Members may call Member Services at (800) 900-9800. Please note that separate Epcot admission is required and is not included with reservations. Discover authentic Italian dishes with an original twist, each expertly prepared and served with regional beverages. Guests will eat, stay and love an amazing menu filled with robust flavors adored the world over. Sit down to a 5-course gourmet meal paired with the chef’s own impeccable selection of Italian wines and craft beer—all chosen to complement his/her original recipes. One taste is all it takes to see why Italian cuisine warms the heart and satisfies the palate. Mangiare! Gather in a rustic wine cellar as Italy’s finest food and drink are paired in perfect harmony. Amidst the Tuscan-style stone walls, luncheon Guests are in for the ultimate dining experience. Savor a spectacular 5-course meal of epicurean delights—all served with select wines chosen for their distinct yet complementary flavors. Capturing the true essence of the country’s rich culture, your chef promises to prepare an authentic Italian meal that’s pure perfezione. Start the day with fabulous fresh-baked goodness, from baguettes and croissants to patisserie-perfect pain au chocolat. 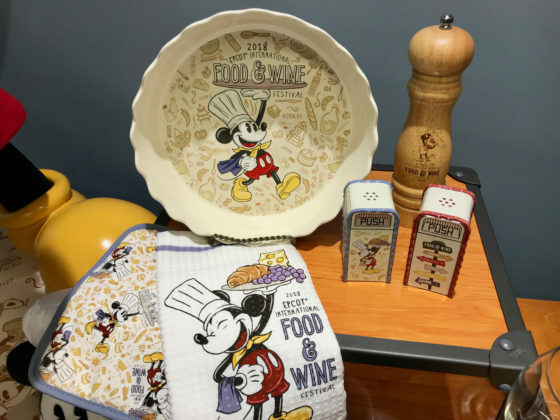 Wake up and smell the petit déjeuner! 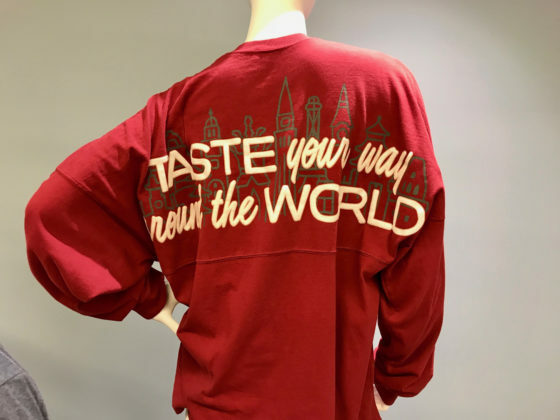 Guests are invited to sip cappuccino, hot chocolate or amazing French sparkling mimosas all while indulging in an authentic Parisian breakfast buffet that’s deliciously decadent. Be sure to slather a bit of confiture on your baguette for a traditional tartine. With buttery croissants, pastries and more, your first meal of the day will never be the same! 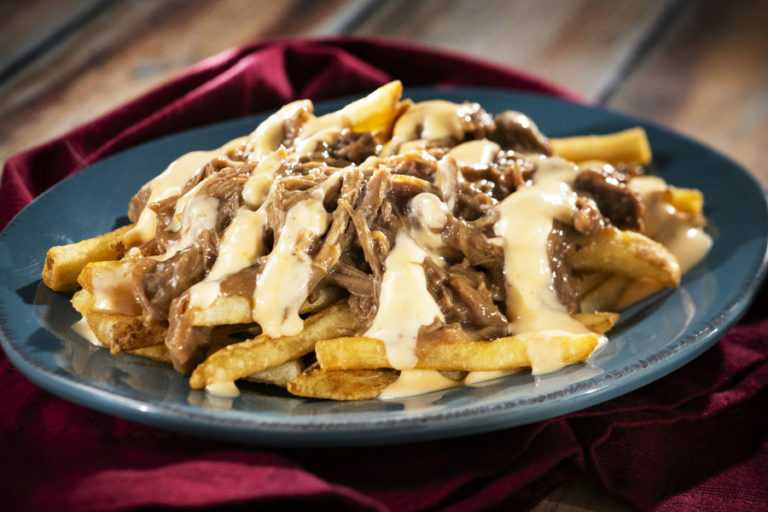 From hors d’oeuvres to entrées, experience authentic French fare just like Maman used to make. There’s no place like home—whether it’s Avignon, Lyon or Vendôme! As the chefs at Monsieur Paul share their treasured family recipes, Guests will experience a culinary adventure that’s deliciously nostalgic. Each dish is created with traditional Le Creuset cast iron pots for a rustic, family-style meal. 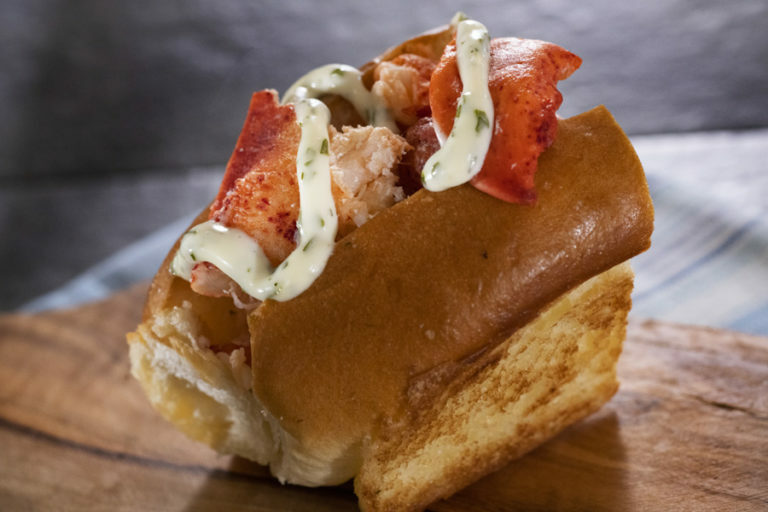 Masterfully paired with the perfect wines, these magnifique meals promise to take you on a tasty trip through some of the country’s most famous places. The Parisian Afternoon, Sandwiches, Macarons and Bubbles! 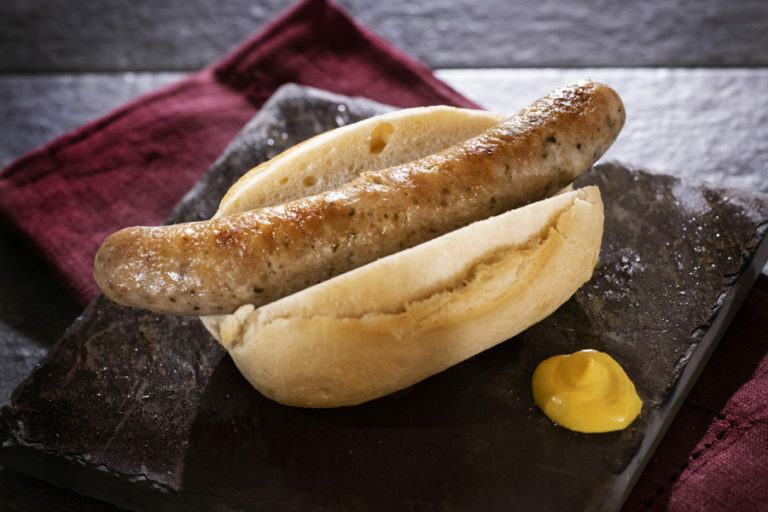 C’est merveilleux… indulge in heavenly morsels from Monsieur Paul, the culinary jewel of the France pavilion. Love is in the fare! From finger sandwiches and savory mignardises to melt-in-your-mouth macarons and an assortment of delicate petit fours, both foodies and Francophiles alike will feel as if they’ve been whisked away to a dreamy bistro along la Rive Gauche. Take a respite from your Epcot adventures to relax, sip unlimited mimosas and nibble our magnifique medley of treats—it’s a Parisian-style afternoon that’s ooo-la-la-luscious! 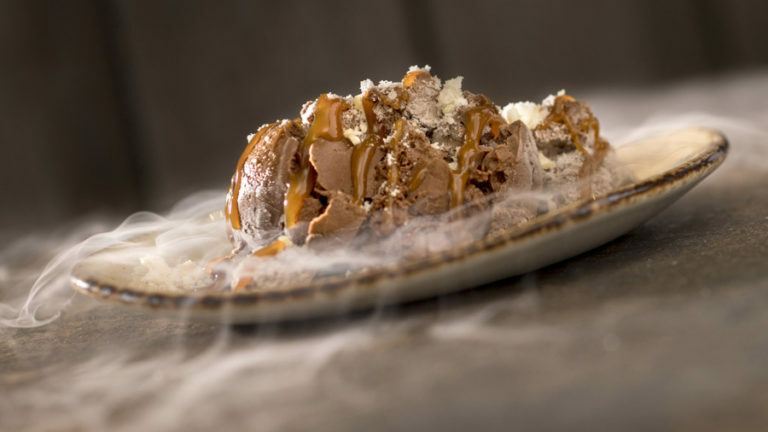 Eat, drink and be amazed while these culinary masters show off some seriously delicious skills. Watch the spirit of Japanese cuisine come to life! Guests are in for an unforgettable dining experience as the restaurant’s “performing” chefs add a modern twist to traditional cooking techniques. This amazing 5-course culinary adventure features Wagyu beef, seafood and poultry. Prepared communal-style at your table, each dish is served with sake that complement the meal’s exotic flavors. 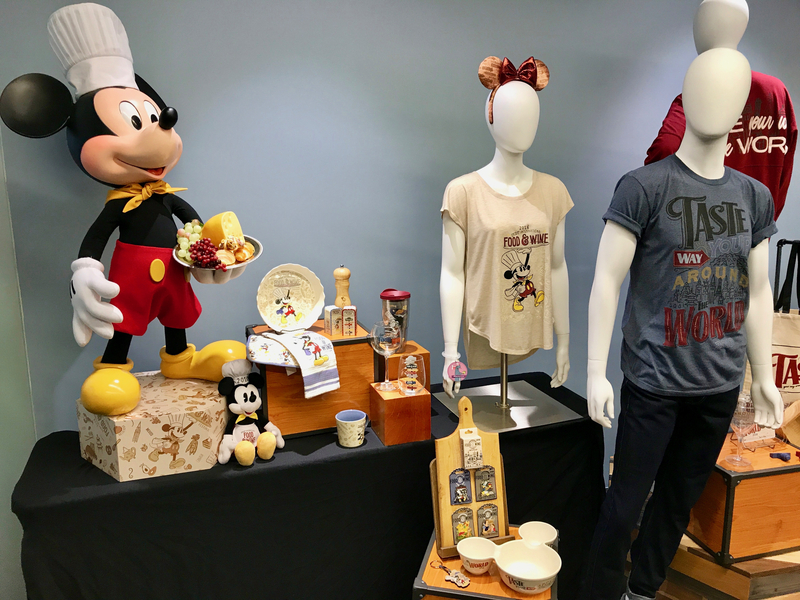 Surrounded by authentic Japanese décor, you’ll feel as if you’re in the Land of the Rising Sun—tanoshimimasu! 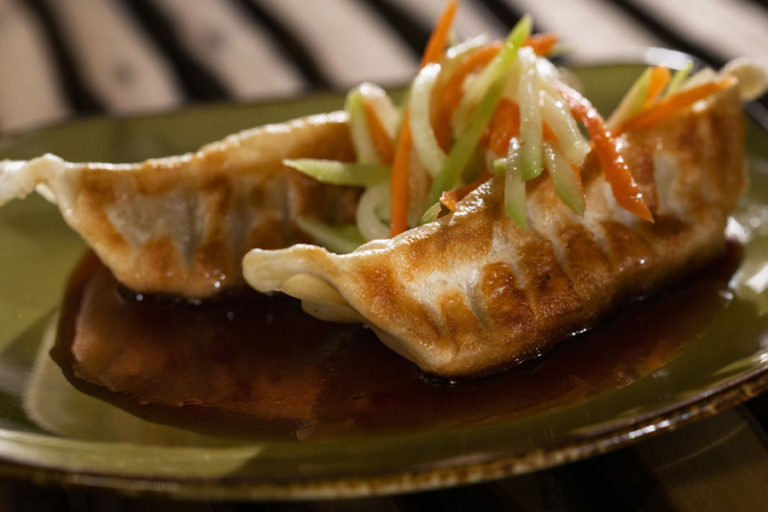 Sample exquisitely prepared meals that showcase the Land of the Rising Sun’s creative presentation. Itadakimasu! Amidst a modern setting, Guests will dine on 3 traditional courses perfectly paired with sake and other thirst-quenching libations. The authentic menu exemplifies a seamless fusion of harmony, culture and culinary art—including Wagyu beef, lobster tail, and Blue Fin sushi. 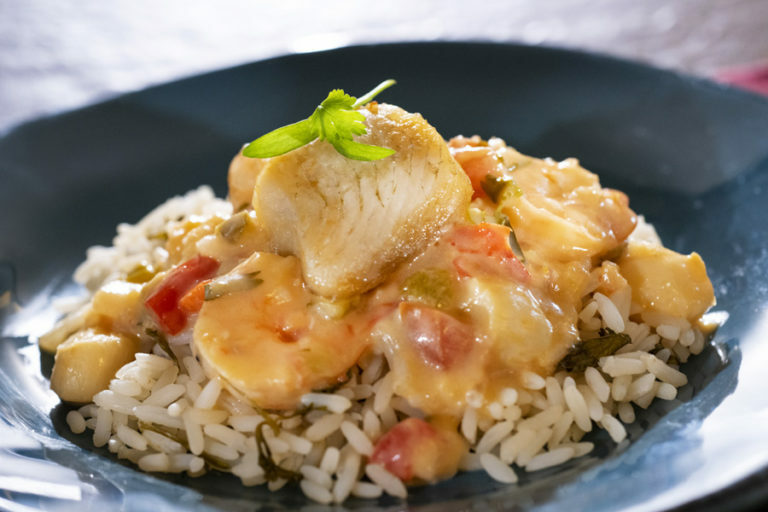 From the first bite to the last sip, don’t miss this amazing medley of flavors—each delicious dish is sure to please the most sophisticated palate! 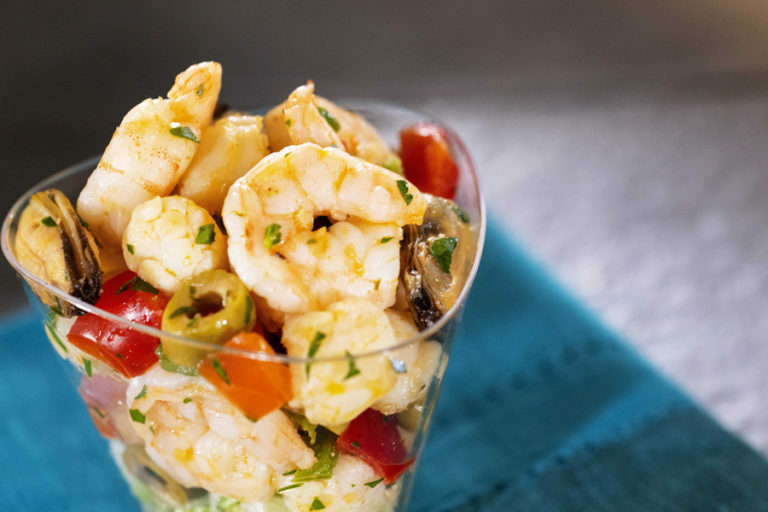 Discover the magic of Mediterranean dining as our gourmet chefs bring an array of zesty recipes to life. Guests are treated to expertly prepared gourmet cuisine that showcases the unique flavors of Morocco, the Mediterranean and beyond. 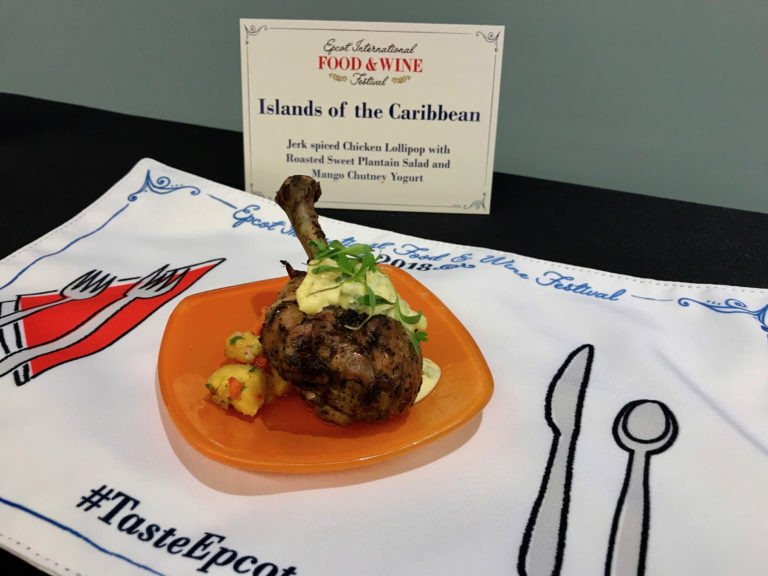 Paired with the perfect wine, each delicious meat and seafood dish embodies the cultural diversity and spirit of this region—you’ll feel like you’ve been swept away to the shores of an amazing epicurean adventure! This experience will also include a sparkling wine reception prior to the event. This is a four tasting size course. Food novices and pros alike will learn so much from industry professionals at the educational sessions offered throughout the Epcot Food & Wine festival. Registration is required for select events and may include additional charges to attend. Reservations for select events open on June 14th. Learn first hand the secrets to culinary success from a celebrity chef. Guest will be able to enjoy brunch, a Q&A session, and an exclusive Meet and Greet opportunity with a guest chef. Start your day in the most delicious way at the 2-hour event featuring a breakfast buffet and a distinguished, gourmet guest. 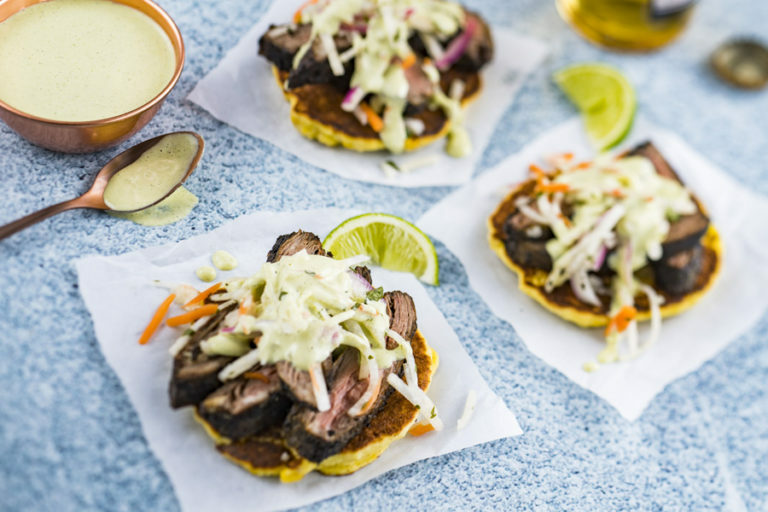 Kick things off with a sparkling wine toast, enjoy an amazing spread of flavorful dishes—and listen to the celebrity guest dish out their favorite tips and tricks. Plus, foodie fans are in for a fabulous pièce de résistance following brunch—a meet-and-greet photo opportunity with the guest of honor. 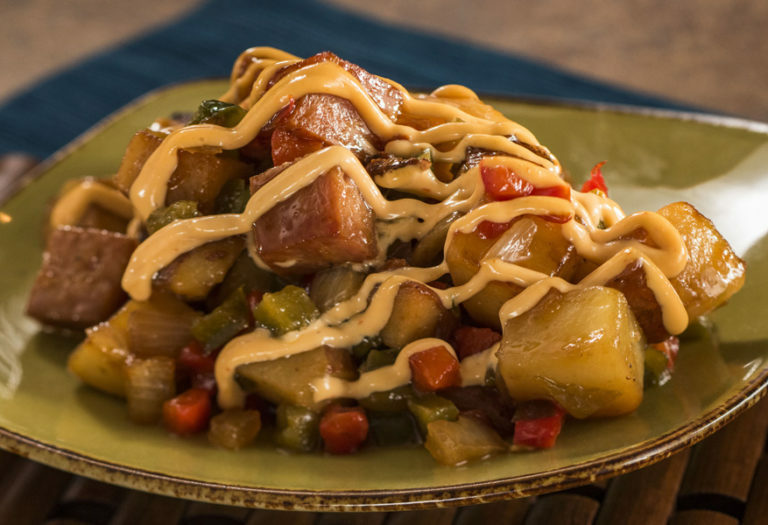 Sunday Brunch with the Chef will be hosted on select Sundays throughout the Festival at the World ShowPlace Events Pavilion. Each event is form 11:30 am to 1:30 pm and requires separate Epcot admission. The cost for Brunch is $129 per guest—plus tax, gratuity is included. Each event has one seating option. Alcohol will only be served to guests 21 years of age and older. Events are subject to change or cancelation without notice. Epcot Food & Wine Festival is the perfect place to try something new. For a hands-on experience unlike anything else, guests can learn to make Candy Sushi. 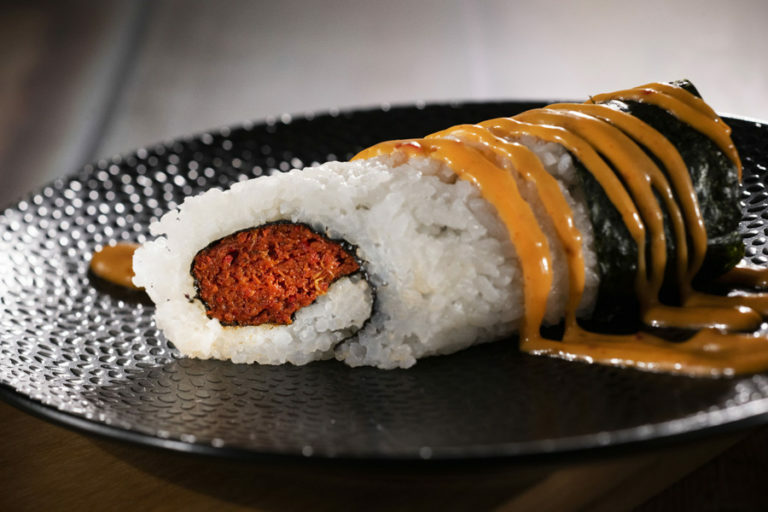 Using crispy rice treats and gummy candies, mock sushi rolls have never looked so good! This daily offering is something the whole family will love. Candy Sushi will be offered daily at 3:30 pm and 5:30 pm at Sunshine Seasons at the Land Pavilion in Epcot. This event is complimentary for all ages however, children under age 7 must be accompanied by an adult. Reservations are not required, but highly recommended. Book online or by calling (407) 939-3378. Guests under 18 must have parent or guardian permission to call. Reservations are accepted with a credit card guarantee. Pick up useful tips during this engaging collaboration between a featured chef and a beverage presenter. The best part? Guests get to sample the dish and beverage pairing created during the demonstration! Food and Beverage Parings will be held Fridays through Sundays at 2:30 pm at the Festival Center stage. 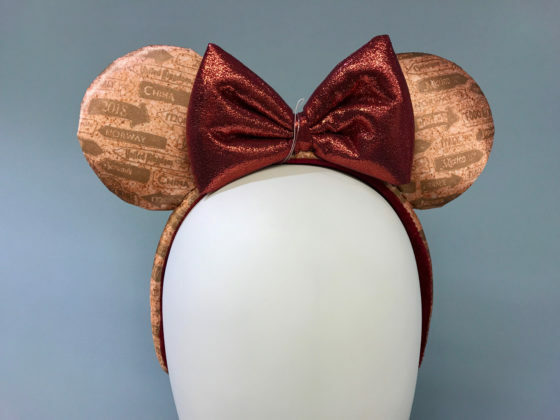 The cost is $25 per guest, plus tax and requires separate Epcot admission. Alcoholic beverages will only be served to guests 21 years of age and older. All events are subject to change or cancellation without notice. 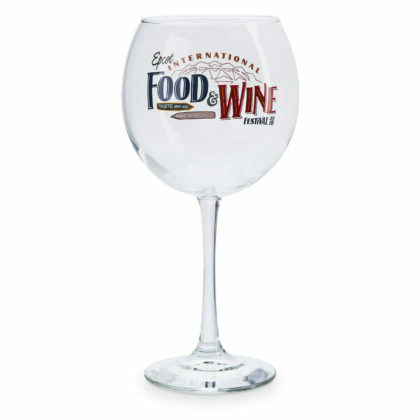 Culinary & Beverage Presenters to be announced soon! Guests will learn everything they’ve ever wanted to know about cheese at these special seminars. During each 90-minute seminar, guest cheesemakers will explain the major aromas, textures and flavor levels of popular cheeses—from Asiago to Zamorano. 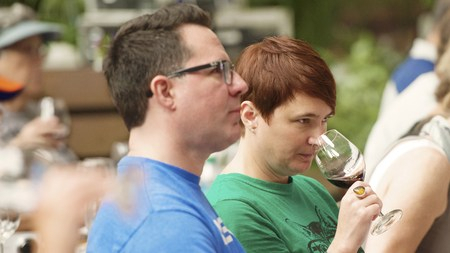 Attendees can sample artisanal selections paired with complementary wines, craft beers and other beverages while learning about the distinct nature of each featured region. Each seminar will be hosted at the Festival Center Stage on select Saturdays from 9:45 am to 11:15 am. The cost is $89 per guest—plus tax, gratuity is included. Please note: advanced reservations are highly recommended, as this event fills up quickly. 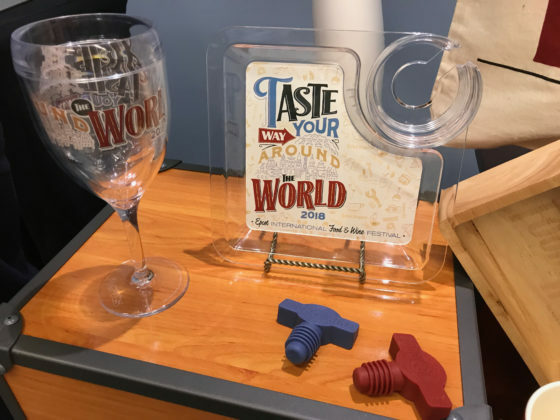 Epcot admission is not included with the event ticket. Alcohol will only be served to guests 21 years of age and older with valid ID. All events, hosts, offerings, menus and services are subject to restrictions, change or cancellation without notice. No refunds given for any such changes or cancellations. 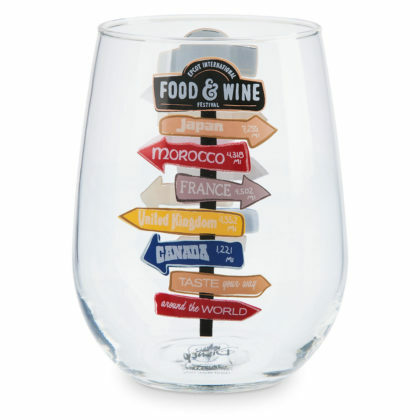 Taste amazing wines and cheeses deeply rooted in ancient Mediterranean diets as well as culture. Savor a classic assiette de fromageaccompanied by a variety of elegant French wines famous around the world. 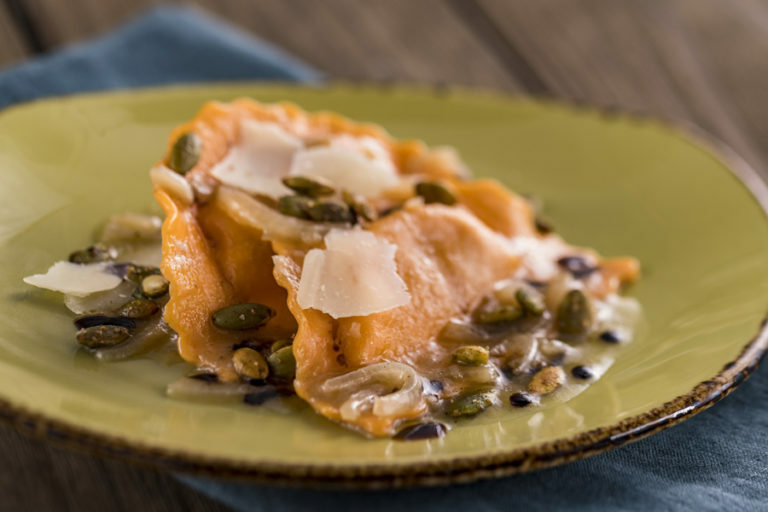 Enjoy Italian vini and formaggi pairings that provide a delicious glimpse into the country’s noble yet rustic lifestyle. Summon your inner wine and cheese connoisseur with some of the finest selections produced in America. Learn how traditional British cheeses and ales pair in perfect harmony, something loyal fans have known for decades. 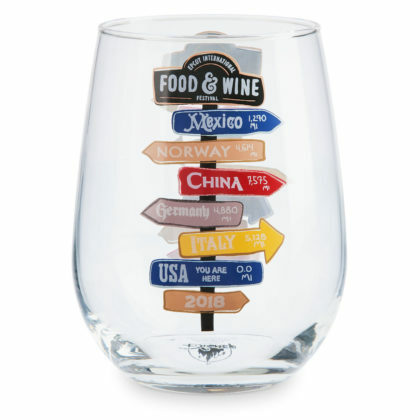 Experience delightfully unique pairings of Europe’s most acclaimed wines and cheeses from various regions across the continent. Sample top seasonal cheeses, both domestic and imported, for a pièce-de-résistance pairing that closes the Festival on a highly delectable note! Sample select adult beverages at a 45-minute seminar that puts you in touch with your inner wine, beer or spirit connoisseur. Each day, sommeliers and other beverage experts will share their extensive knowledge at these deliciously informative presentations. Get the official event calendar for more information, including featured appearances and presentations. Please note: Epcot admission is required and is not included with the event ticket. Alcohol will only be served to Guests 21 years of age and older. All events are subject to change or cancellation without notice. Challenge your senses as you expand your culinary skills and beverage know-how! Working side-by-side with chefs, beverage experts and other kitchen wizards, attendees can roll up their sleeves for a hands-on lesson that teaches one of many different culinary and beverage skills. 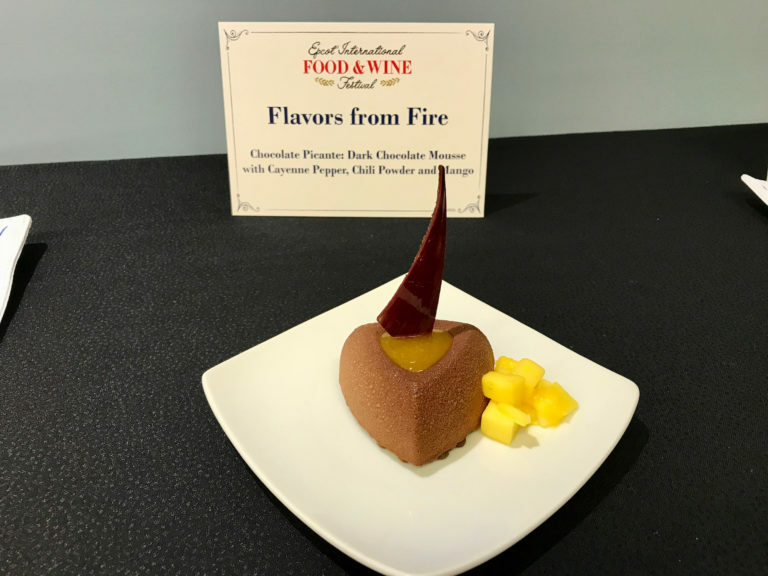 Each guided, interactive experience offers a multi-sensory smorgasbord—from whipping up sweet treats and savory sensations to exploring cocktails, spirits and wines. Each Mix It, Make It, Celebrate It! sessions will be held at the Festival Center Stage on Wednesdays and Thursdays from 4:30 pm to 5:45 pm. The cost is $39 per guest, plus tax. Get the official event calendar for more information, including featured appearances and presentations. Availability for this event is limited. Epcot admission is required and is not included with the event ticket. Alcohol will only be served to Guests 21 years of age and older. All events are subject to change or cancellation without notice. Mojitos Made Easy –Learn the skills you need to create the perfect mojito during this interactive mojito-making experience! Unsure of your mixology skills? Frank will guide you through the steps you need to feel comfortable when creating this popular Cuban cocktail. 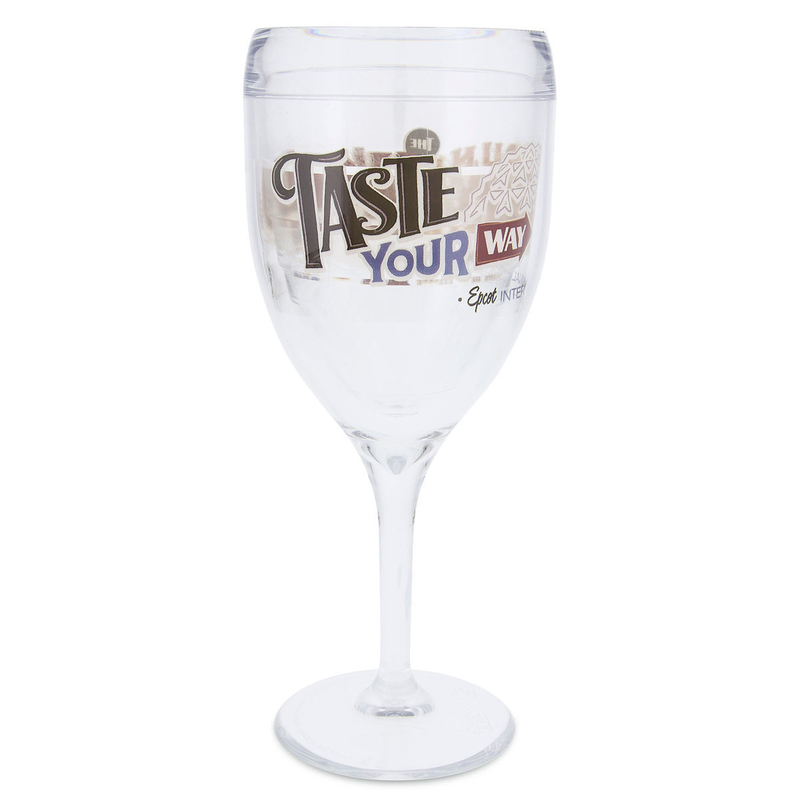 At the end, celebrate your success by tasting your own concoction! 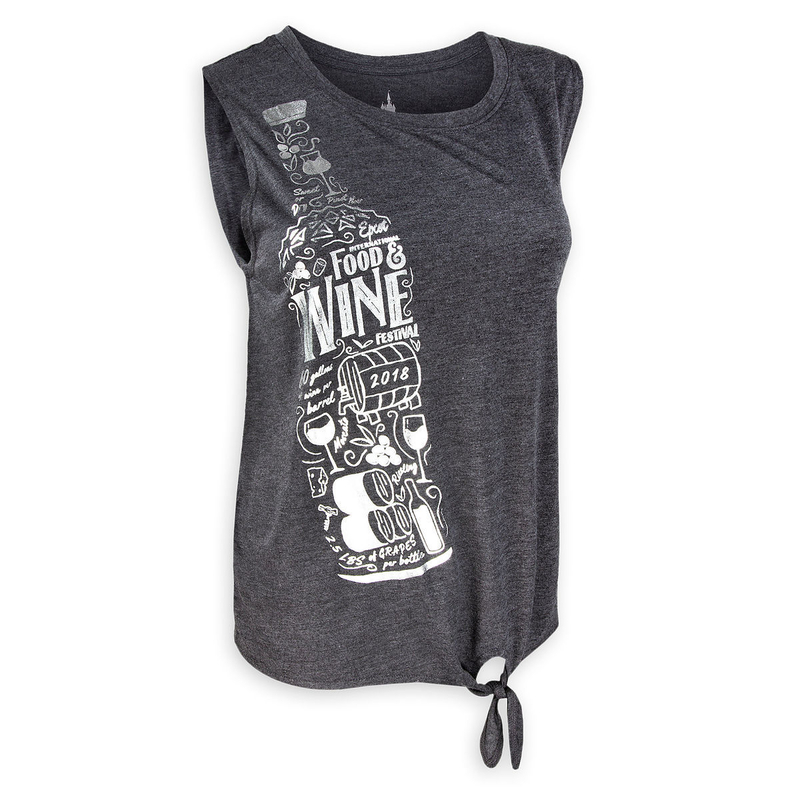 Flavor Trifecta – Enjoy a decadent Flavor Trifecta: Wine, Cheese & Chocolate, experienced in perfect harmony! Join the Tasty Trio as they take you through a delectable journey of wine, cheese and chocolate pairings and the interplay on your palate of all three elements. This unique class promises to be fun, educational and delicious. Kawaii Kyaraben – Cute Enough to Eat – This lively interactive culinary demonstration will highlight the elements of a “kyaraben” or character bento, providing a step-by-step walk through with bento artist, OMGiri. Participants will enjoy the chance to create their own bento box featuring a Japanese inspired onigiri (rice ball) shaped like a cute character! Crushing on Stoli CRUSHED Vodka – Join Philip Raimondo and Brent Lamberti for an interactive mixology tasting where you will help create a new cocktail with Stoli CRUSHED Vodka. Work together as a team to create and taste three totally new and original cocktail recipes with each of the Stoli®\ CRUSHED flavors: Pineapple, Mango and Ruby Red Grapefruit. Cocktail Creations with Stoli Group USA – Join Philip Raimondo and Brent Lamberti for an interactive mixology tasting featuring Stoli Cucumber Flavored Vodka, Cenote® Silver Tequila and Bayou Rum. Learn some great tips and tricks for your next cocktail party and impress your friends with your new found mixology skills, plus discover and taste some great new recipes. Rum and Cola- Hold the Cola and Pass the Umbrella! – Plan to fall in love with the beauty and versatility of the wonderful world of rum! Join Mixologist Lynnette Marrero for an interactive journey through the history of rum cocktails. Learn how to properly taste sipping rums and how to use the unique flavors and notes of the spirit to mix delicious rum cocktails beyond the cuba Libre (rum and cola). Nolet Spirits: A Family Tradition – At the heart of Ketel One Vodka and NOLET’S Finest Gins lies a Dutch family’s remarkable passion for distilling. Discover how the Nolet family has been meticulously crafting the world’s finest spirits for over 300 years and 11 generations. Join us for this interactive tasting experience and learn how to “Ketel” your soda with Ketel One Vodka and master your mule with NOLET’S Gin. Spices: The Building Blocks of Cultures – Join James Beard Award Winning Chef Allen Susser for his hands-on spice experience. Learn about the spices and fragrant aromas of exotic cultures and embrace the comforting, yet artisan secrets of handmade spice blending that have been passed down through the ancient spice roots. This experience will help in learning to cook any modern ethnic cuisine by becoming acquainted with that culture’s seasonings. Additionally, you will take home a treasure of spices that you personally create. Craft Cocktails 101 – Join Mixologist David Ortiz as he teaches you tips and tricks of the trade. Using expertise of past and present flavors, he will lead you through the world of craft cocktails while you mix your own creations on the spot! The Sine Metu Experience by the Midleton Distillery, Home of Jameson Irish Whiskey – “Sine Metu” or “Without Fear” is the Jameson family motto awarded for their bravery fighting pirates on the high seas. Find your “Sine Metu” moment and join us to create and taste contemporary twists on iconic classics, like the Old Fashioned and Manhattan with one of today’s fastest growing and most beloved whiskeys, Jameson Irish Whiskey. Totally Bananas with Chef Dana – We are totally bananas for Chef Dana! Did you know that more than 100 billion bananas are eaten every year in the world? This makes bananas the fourth most popular agricultural product. During this hands-on demo and tasting, we will explore ways to transform this versatile fruit into sweet treats. Chick Chick Boom! – Turn the ordinary egg into Egg-straordinary appetizers in this interactive class. Learn how to boil the perfect egg, make exciting new filling for your eggs, and decide which eggs make the best deviled eggs-quail, chicken, duck, goose or ostrich! Each guest will take home new recipes to add to their recipe box, along with a spice blend created by Chef Jennifer Hill Booker-just for you! Bread Basics 101 – The best bread in the world is the kind you can make at home. Plus, fresh bread also makes your home smell heavenly! Learn how to produce an artisan loaf at home without a lot of kneading and with almost zero equipment. By the end of this experience, you’ll have the knowledge you “knead” and your own fresh bread to enjoy! 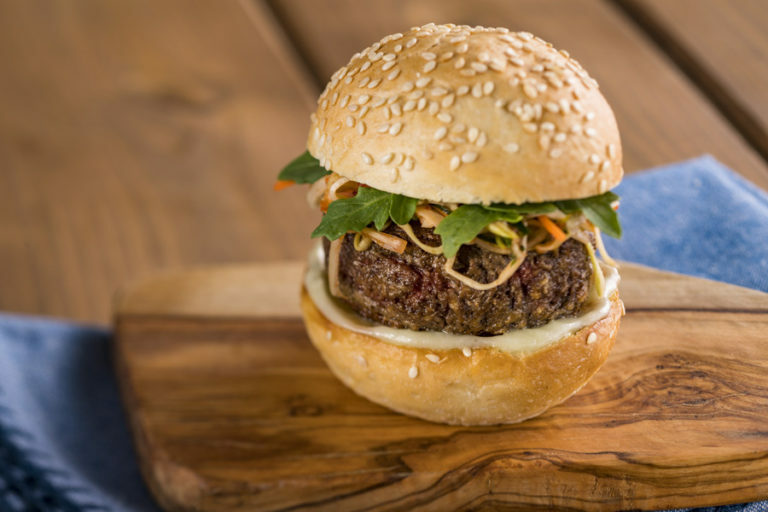 Building the Perfect Bite – Every time you eat, you make choices, even if you don’t realize it. How do you hold your tortilla chip when you dip it – by a corner or by a straight edge? How do you fold your pizza when you pick it up – inside out, as it should be? Which part of your salad do you fork first – greens or toppings? In this funny and fascinating demonstration, Cooking Channel host Dan Pashman will use science and humor to show you how to make everything you eat more delicious. Be a part of the fun and taste food in a different way! Decorate Your Own Halloween Cupcakes – Trick or Treat – We’re all about the treats! Learn from renowned cake master Bronwen Weber on how to decorate your own Halloween cupcakes! Enjoy making cake toppers shaped as a friendly skeleton, Jack-o-lantern, and witch. You’ll leave ready to make your own treats at home with Frosted Art Bakery’s very own chocolate cake and ganache icing recipes! Cocktail Theatre – Mix, make, and celebrate Dan Aykroyd’s award winning Crystal Head Vodka as the star of your drink show. Learn to create cocktails that not only taste good but will also get the cameras rolling when you present to your guests! Pasticcini di Capizzi – Pasticcini are exquisite Italian fine confections that can be either candies or bite size pastries. 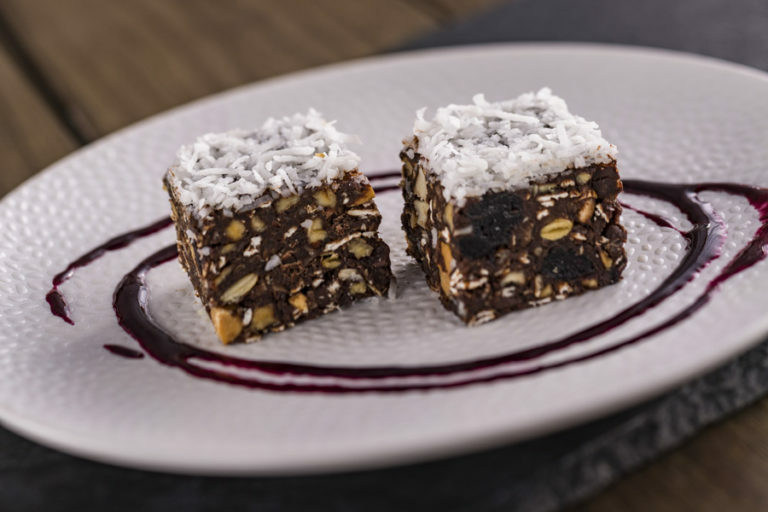 In the Italian tradition, assorted pasticcini are served as a dessert or as gifts when you leave a restaurant. 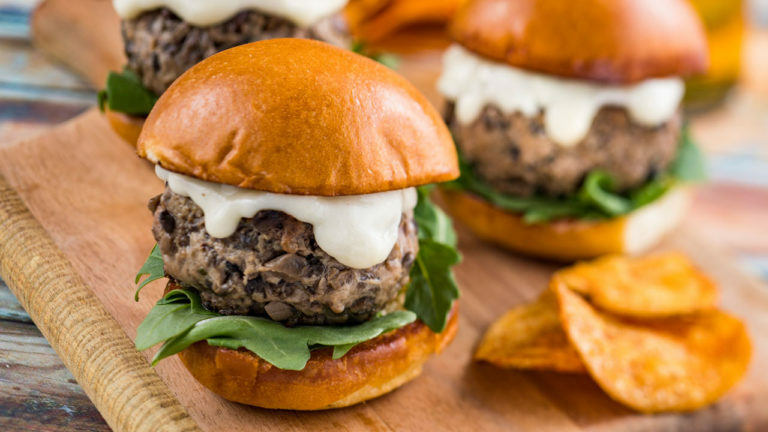 Join Chef Richard Capizzi during this interactive experience and create your own assortment of delectable bites! Rock Unrolled – Sushi Rolling with Rock Harper – Roll like a pro! During this experience, you will learn all the steps to making a great sushi roll, including a demonstration on the sushi rice, which may be the most important part. Create a traditional roll and an inside-out roll with the fillings of your choice from Chef Rock Harper’s seasonal selection of vegetables. Once you know the method and techniques, it’s up to you to “roll” with your creative side! Guests wishing to learn more about the fantastic gardening, landscaping, and plant integration at Epcot can make reservations for the three-hour walking tour led by Disney Horticulture experts. Each Gardens of the World Tour will take guests around World Showcase and explore how Disney selects, nurtures, and maintains authenticity with the plant life found in each country’s pavilion. Guests will also learn about edible trees and other plants as well as basics and tips for gardening at home. Each walking tour starts at 9 a.m. and is open to guests 12 years of age and older. Gardens of the World Tours are $85 plus tax and are offered on select days of the Epcot Food & Wine Festival. Epcot Food & Wine Festival isn’t just for the adults. Families with kids of all ages will be able to enjoy the festival together with activities everyone is sure to love! This year, Epcot will host a character Dance Party on Fridays and Saturdays during the festival. Take a break from all the sampling and get ready to boogie! The petite chef, better know as Remy, will return for the 2018 festival but it won’t be easy to spot him. 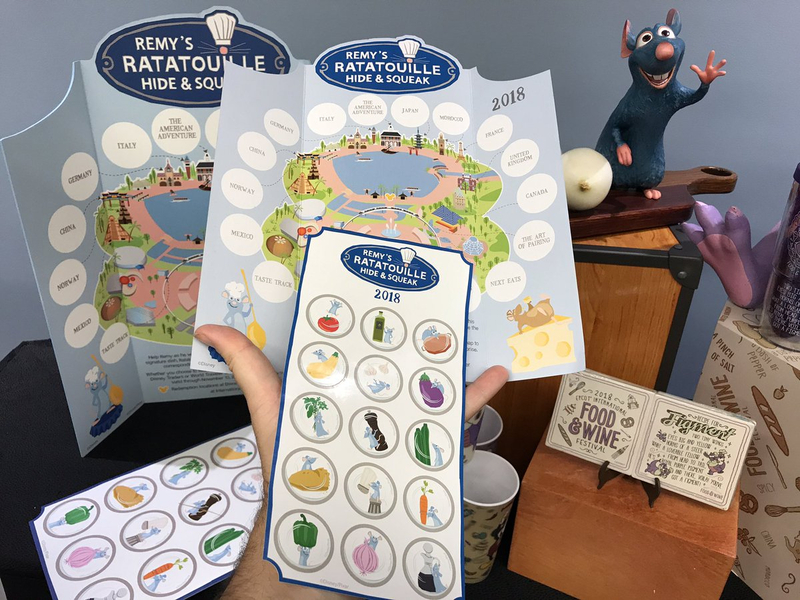 Individuals and families can purchase a map and sticker set from the either Disney Trader, Pin Central, or World Traveler stores then set off in search of the friendly rat around World Showcase. 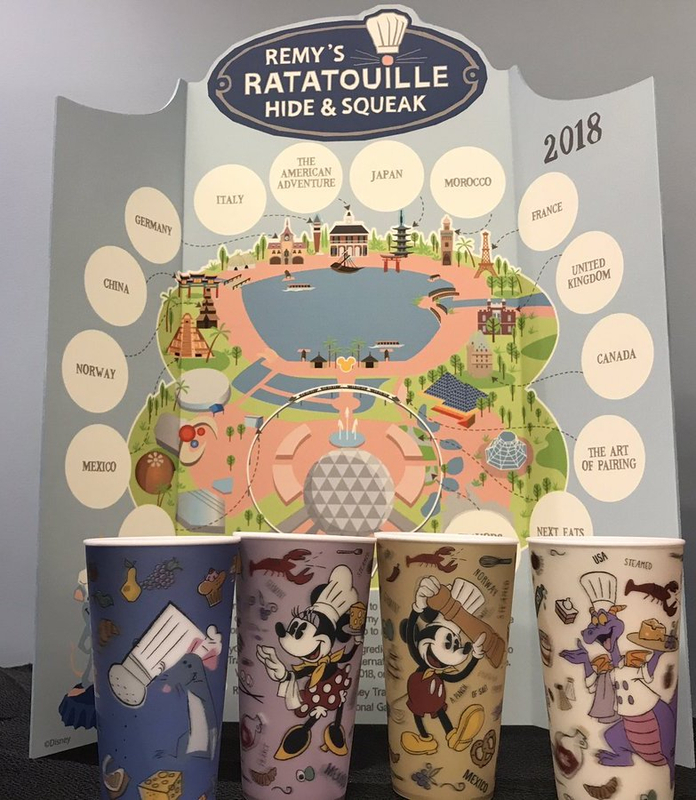 Whether or not they find all of Remy’s hiding spots, guests can return to any of the three stores with their map and get a prize! 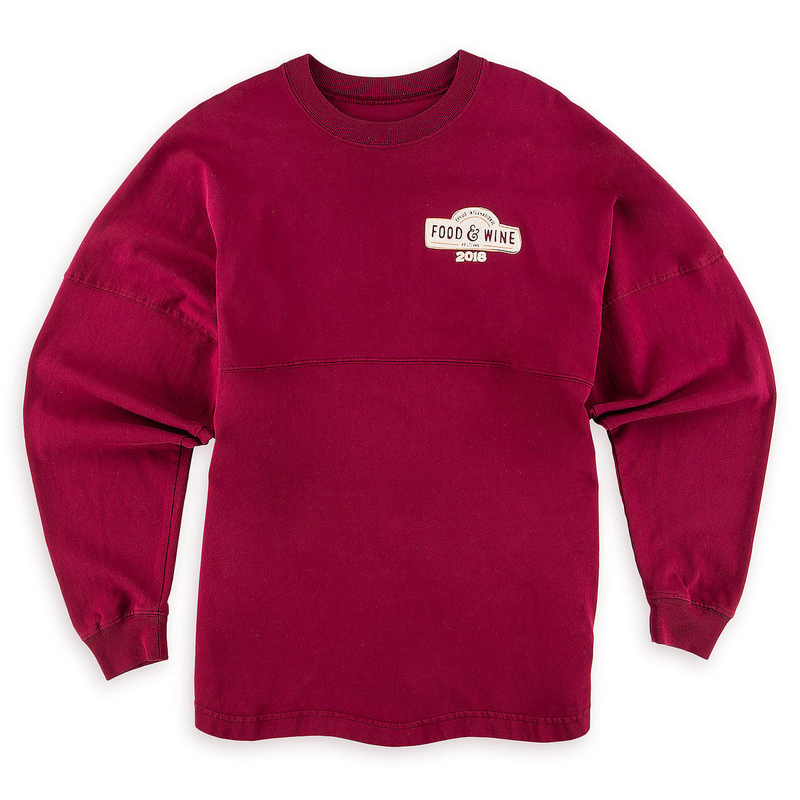 Energetic kids sometimes need a little something more than walking around the park. The creative teams that put together Epcot’s Festivals have also designed an interactive playground for families to enjoy together. Independent children can explore on their own, and those who are a little more cautious can discover the fun with their parents by their side. 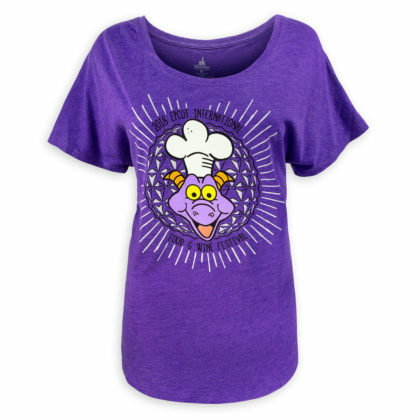 This year Epcot will introduce a Junior Chef Kitchen program on Sundays during the festival. More details will be shared soon. 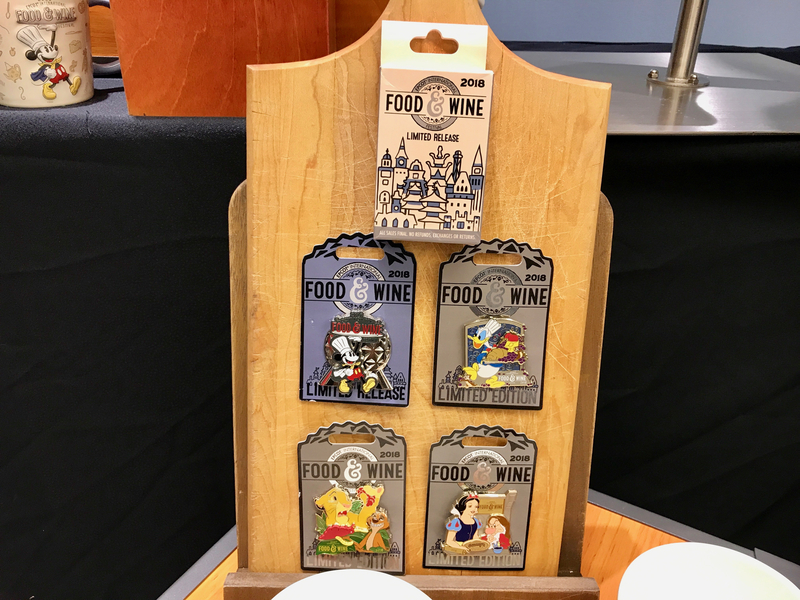 Guests wishing to enhance their Epcot Food & Wine Festival experience can stop by the Festival Center to attend seminars, purchase special merchandise, cookbooks, alcohol and additional food sample parings. 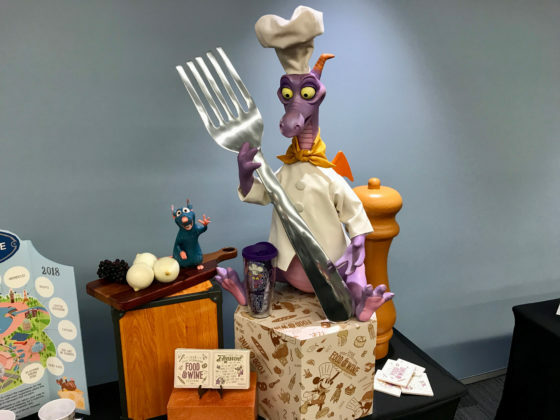 While there, guests can also enjoy viewing masterful chocolate and sugar sculptures designed and built by Disney chefs and their culinary teams.